Pendants are a fabulous way to make a personal style statement. One of my sisters gave me a collection of old stamps and I was thrilled to discover a couple featuring art by Alphonse Mucha, a man whose work is synonymous with the Art Nouveau period. There are many options for making pendants. I wanted one that would withstand water, so I chose to use a bezel cup and fill it with clear epoxy. Other options are using a bezel cup and glass face, gluing your piece to a clay or wood backing, or Mod Podge's new jewelry blanks. 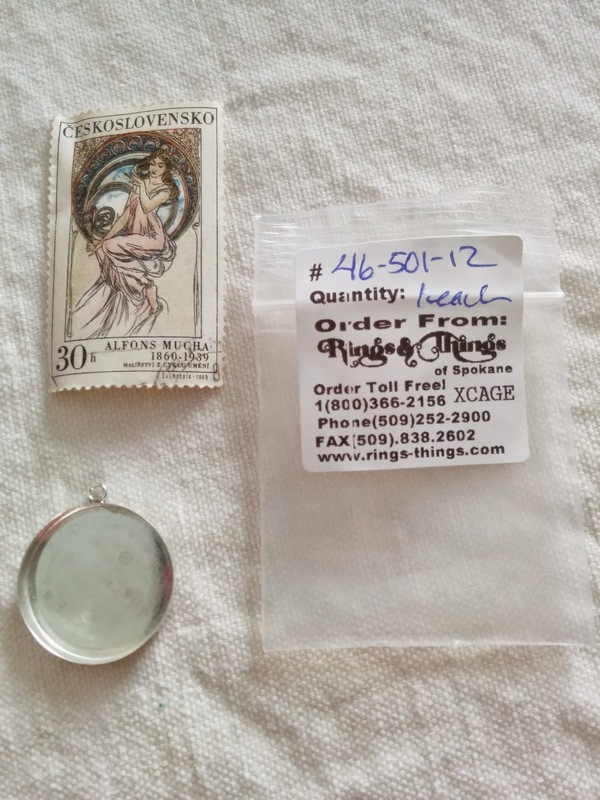 Frankly if Mod Podge's product was available when I bought my bezel cup from Rings & Things earlier this year, I would have gone that route instead. But there's always next time. This is pretty simple so I'm not going to describe it in much detail. 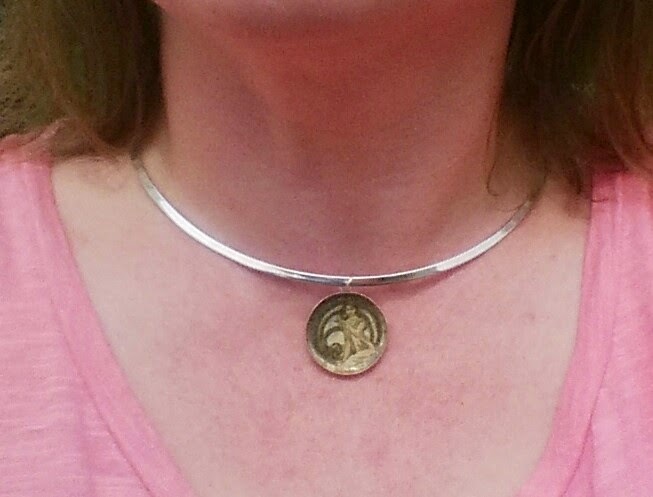 I basically traced the pendant back, trimmed my stamp to fit, placed it in the pendant and filled with epoxy. I let it cure for 24 hours and am pretty happy with the results. There are some bubbles in the epoxy making it a little cloudier than I would have preferred, but it's still very wearable. Leather & Ribbon Bookmarks: Go Bucks!